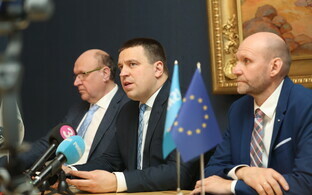 Mart Helme, Conservative People's Party of Estonia (EKRE) chair and candidate for interior minister in his party's coalition with Centre and Isamaa, has said that he found unconvincing the claim that business owners cannot find sufficient labour within Estonia, and that this should therefore be brought from outside. Mr Helme said that entrepreneurs need to think about the wages and guarantees for employees, rather than simply try to evade paying taxes. The issue has raised controversy, not least since Mr Helme and his party have claimed that tens of thousands of illegal immigrants have come to Estonia in recent years, including from Ukraine, to work. Outgoing interior minister and thus Mr Helme's predecessor should he ascend to the role in reality, Katri Raik (SDE) has said that the bulk of those Mr Helme enumerated were in fact in Estonia legally and were registered here. 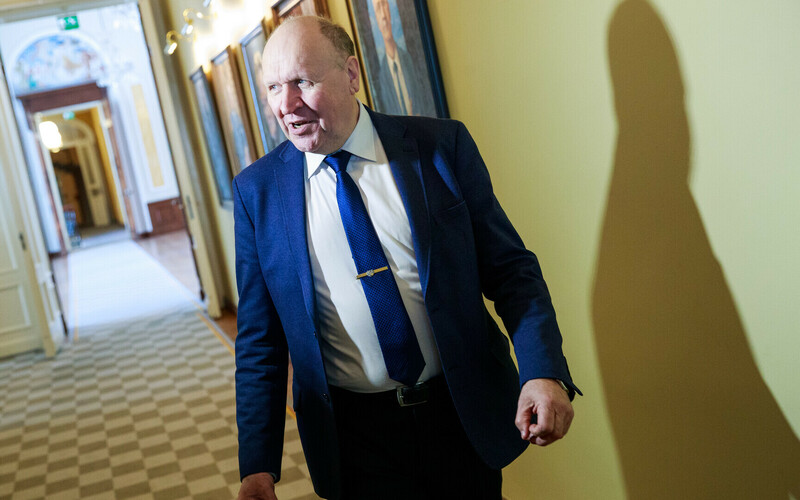 ''Our people are leaving Estonia due to low wages, since they don't want to work for such sums, and thus in the long run there will be a 'declassification' among the bulk of such people,'' Mr Helme told ERR on Tuesday. ''At the same time, either we do not desire, or we fail, to pay our people a normal salary, and are basically engaged in slave labour,'' he added, when asked about his opposition to bringing in labour from outside Estonia. 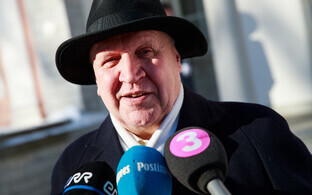 According to Mr Helme, the economy is not the priority, but rather the people and the nation. ''When a nation state is undermined by hired labour, illegal labour, slave labour, we don't agree with this state of affairs. This is an economic policy and demographic issue which needs to be approached in this way, and not just with an attitude of 'I have no workforce, I have nowhere to get it from'. When we joined the EU, the picture was very simple: We are entering a large market with free movement of labour. Please, bring [people] from Germany, and generally those countries where wage levels and social guarantees are at a civilised level, but do not institute slave labour here,'' he went on. While local business said they could not find a sufficient workforce on the ground, for instance in the rural economy, they weren't looking hard enough. ''They look disingenuously at figures concerning wages and social security. They are trying to evade paying taxes. There is no point telling me otherwise, I have lived half my life in the countryside, I see very well what is happening,'' he continued. He added that reconsidering how the workforce issues might be alleviated by, for example, providing students with summer jobs, was important. ''Right now it is very complicated. We need to look at those people who are not working or studying; there are about 35,000 of them - a sufficient number to pick strawberries. We need to look at how we can bring our people back from Finland. The answer seems to be that only a Ukrainian workforce is the solution for the Estonian economy. Not so, it is actually the destruction of the Estonian economy, because it is not an innovative production economy, but a patch of new cloth on old rags,'' he continued. Mr Helme added that workers should not be brought in from Ukraine, but from countries with high wages and social guarantees, such as Germany. "This is the type of country we want to see [workers from]. But not cheap labour from Ukraine, Belarus and Russia,'' he said, adding that focussing on the east as a labour source could mean endangering the Estonian language in favour of Russian. "That the Estonian language woudl gradually comes down to the level of a 'kitchen language', with English and Russian ahead. Yes, we have a lot to do with this," he opined. 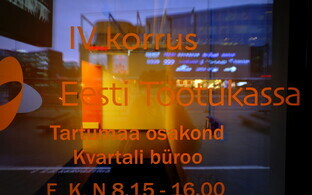 Labour which is seasonal in nature, even if drawn from the ranks of Estonian citizens, can lead to discontinuities in social security contributions, for instance. EKRE is one of the two smaller parties in the recently-agreed coalition deal, together with Isamaa, but these two parties seem to have been more on the initiative, getting a certain amount of their election manifesto pledges on to the agreement signed with Centre, the larger party. In any case, the first stage in actually getting a coalition government in office is a vote in the Riigikogu on the Kaja Kallas-led coalition, presently consisting only of her party and the Social Democratic Party (SDE) as a minority lineup. Only if this agreement is rejected at the Riigikogu vote, can Jüri Ratas bring the Centre/EKRE/Isamaa lineup to the vote, assuming President Kersti Kaljulaid nominated him as the second prime ministerial candidate, after Kaja Kallas.